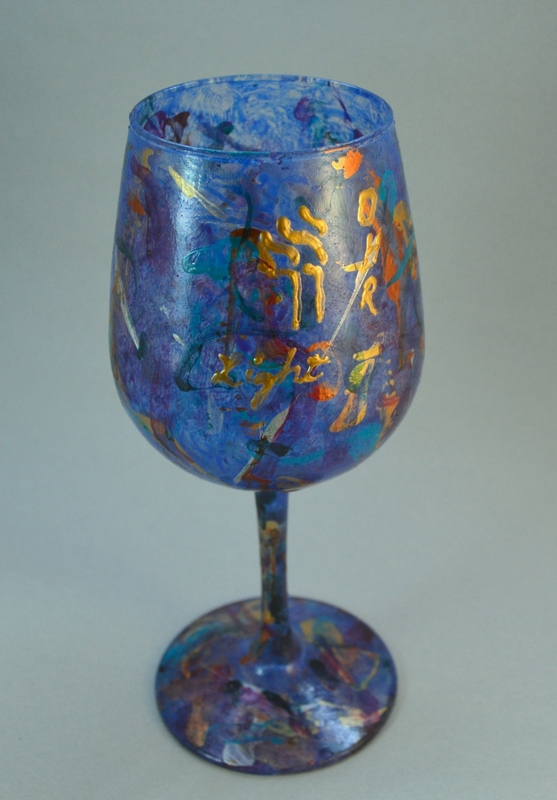 in: Hand Painted Glass, Wine Glasses, Goblets, Cups, Ohr, NEW! Thus we begin. Since the creation, light has been the symbol of both the beginning and the ultimate goal of the spiritual journey. Ohr — the torch of light symbolizes our search for that first light, the hidden light of creation.